President Bush today at Arlington National Cemetery(last paragraph). Kittaya on the deckwall. He just learned to climb and jump on to the post. Fresh radishes that we get here in spring time are the best. They make a colorful curry-salad, has a bit of crunch and lots of flavor and when served with chapatis, makes a satisfying light lunch. Preparation is very simple. First, scrub and wash the radishes, remove the damaged ones. It’s not necessary to peel if they are fresh. Dice or slice them into bite-sized pieces. In a pan, add 1 tsp of oil, do the popu, add the radishes, saute them for few minutes. Add salt and red pepper flakes, cover and cook them for few seconds. Don’t over cook them, they will turn into soggy tasteless bits. They taste better when they are served hot. You can prepare this curry while making chapatis. All it takes is 5 minutes, that’s it. It is difficult to muster much enthusiasm for radishes, I know. But they are rich source of vitamin C and look colorful when cooked. Hold your nose and munch them for your health. That’s the way I eat my radishes. I enjoy going to flea market on weekends. I feel excited when I find a unique, useful item at a bargain price. Luckily what we have here in Ohio near our home is a flea/farmers market. We can buy stuff and fresh veggies too. Last Sunday, weather was fine and sun was out, so we decided to make a trip to the flea market. I bought cherries, white icicle radishes, red radishes, tomatoes, and cantaloupe. Vijay bought a Sony radio for 3 bucks and yes, it is working. He wanted one for his office room. I saw two very thick, aluminum, restaurant quality pans, but they have no lids, and so I decided to not buy. This is our first visit to this flea market as we recently moved here. Compared the flea market, where we used to go in Pittsburgh, this one is much bigger with lots of stalls. We went there around 9, walked for 3 hours, we still had a lot to browse. Well, the whole summer is ahead of us. After coming home, I prepared white radish (mullangi) sambhar for our meal. They have mildly pungent taste, sweeter than the red skinned radish and they tasted delicious in sambhar. Different vegetables give different flavors to the sambhar. You can use carrots, cauliflower, capsicum, potatoes, okra, eggplant, and cucumber; choose whatever you like or combinations. Pressure-cook toor dal thoroughly until it falls apart with turmeric in two cups of water. Mash the cooked dal and make smooth paste. Keep it aside. While the toor dal is pressure-cooked, heat 1 tsp of oil in a big saucepan. When oil is hot, do the tadka. Add and crackle some mustard seeds, jeera and curry leaves. Add onions, tomatoes, white radish, sauté them until they are well-cooked. Stir in the tamarind juice, salt, red chilli powder, sambhar powder and one glass of water. Mix well. Cover the pot with a lid. Bring the water to boil and then add the mashed toor dal. Let simmer for fifteen minutes on medium heat, stirring occasionally, till the wonderful sambhar aroma fills your kitchen. Serve hot with rice. Don’t worry about leftover sambhar, it tastes even better the next day. Sambhar is quite popular all over South India. How did the plain dal or pappu rasam turned into Sambhar? If you are curious, read this quite interesting story. I prefer Savoy cabbage. It has a mild flavor and I recently found out it has more folic acid and beta carotenes than regular cabbage, so an extra dollar I spend on this variety is not a waste. 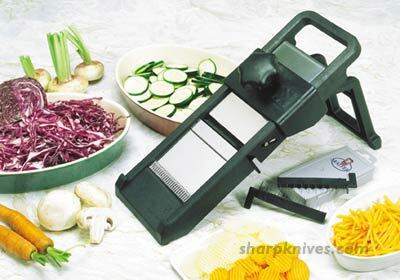 Mandoline is a useful thing to have, it has a way with cabbage, don’t you agree? You can cut cabbage into thin strips in a jiff with mandoline. When I used this contraption for cabbage, I was relieved to know that I didn’t waste 19 bucks, you see, it was a middle of the afternoon, impulsive, first time purchase from HSN. Ya, sometimes I do buy things from TV shopping networks. I medium sized Savoy Cabbage: Cut cabbage into thin long strips. Remember cabbage reduces in volume by 60 to 70% when cooked. 1 onion, 5 green chillies finely chopped. First do the popu (fry mustard seeds, cumin, garlic and curry leaves in oil), then add onions, chillies and chana dal, sauté them. Add cabbage, salt, coconut powder and turmeric, mix them together. Cover and cook the cabbage in its own moisture. It will retain more nutrients in this way, (rather than cooking it in water, draining and then adding). Five minutes maximum, curry is done. Have it with chapati or with rice and dal. Cabbage curry, chapatis and cup of yogurt ~ our lunch today. These easy to prepare no-meat burgers are great on their own or on buns. The recipe is from Eating Well magazine. I tried it today and they turned out good. cilantro (whatever herb you prefer, celery, thyme) finely chopped. Magazine recipe also used eggs as binding agent, but I skipped the eggs. Pressure cook lentils with little water or cook lentils in water until tender, drain the water, keep aside. Meanwhile, heat 1 tsp of oil in a skillet; add carrot, onions, chillies, cilantro and almonds. Sauté them until the almonds are lightly browned. Let them cool down a little bit. Then transfer the mixture to a food processor, add the cooked lentils and salt. Pulse several times, scraping the sides, until the mixture is coarsely ground. Take this mixture into a bowl, add lemon juice, and mix it well. Form the lentil mixture into round patties. Heat 1 tsp of oil or ghee in a cast iron skillet. Add the patties, cook for 3 to 4 minutes on medium low, each side, until lightly browned. They are delicate; use a big spatula to turn them. Peanut chutney is the usual accompaniment to breakfast dishes like upma, pongal, pesarattu, dosa, and vada at my home so I prepare peanut chutney quite often. Also it makes a decent substitute to coconut chutney. Fresh coconut is a premium thing here at Ohio, because of that whenever a chutney recipe is called for I usually go with home classic, a crowd pleaser and an Andhra delight ~ peanut chutney (Buddala pachadi in Telugu language). First step is roasting the peanuts. If I have some time to kill, I usually go for stove-top method. Place an iron skillet on stove top and on medium heat, slowly roast the peanuts to golden brown color. Cool and rub the skins off. I love the roasted peanut taste produced in this slow-cooking method. In a rush, needs to prepare quickly, then I go for microwave method. Pick a wide and big microwave safe bowl. Place peanuts and microwave them for 2-4 minutes, uncovered. How fast the roasting process is done depends on how powerful the microwave is and the quantity of peanuts. After each minute of microwaving, remove the bowl and mix or turn the peanuts with a spoon for even cooking. Microwave again for another one minute and repeat the process. Do this until the cream colored peanuts turn to light brown color. I have to warn you though, just like in any roasting process, microwave method is also a delicate one and in a split second perfectly golden peanuts could turn to charcoal black. Please be careful and pay attention to the process, if this is your first time. Once you get the hang of it, it will be really a breeze to roast peanuts in a microwave. Heat a tablespoon of oil to smoking point in an iron skillet. Add and brown dried red chillies, onion and garlic. Wait few minutes for them to cool down. This cooling process somehow increases the chutney taste tremendously and saves the motor blade of your mixer from melting. Take roasted peanuts in a blender/food processor. Grind to fine. Add other ingredients, plus tamarind, salt and a cup of water. Remove the chutney to a bowl. Do the popu or tadka (toast popu ingredients listed above, in half teaspoon of oil in a vessel), add them to the chutney. This is always the final seasoning thing we do.